Download a free Thyroid Treatment Guide from the #1 endocrinology program in Ohio. Diagnosis and treatment are key to managing thyroid disease and will help control related symptoms. 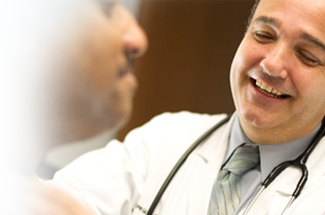 Cleveland Clinic is a national leader in caring for patients with thyroid conditions. Our patients benefit from access to a multidisciplinary staff, the most advanced technology and the latest clinical trials. To schedule a consultation with one of our thyroid specialists, please call us toll-free at: 844.817.1278. Thyroid disease affects an estimated 20 million Americans, many of whom are unaware that they have a condition.